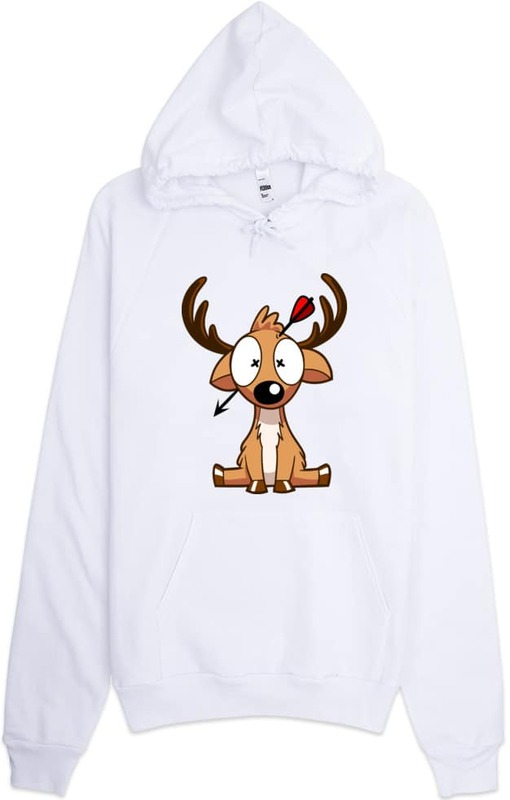 Keep warm this winter with the perfect hooded sweatshirt for deer hunters or anyone that likes cool cartoon fashion. This is a unisex size so women should order a size smaller. This hooded deer hunter sweatshirt is ultra comfortable, soft, smooth and stylish. Perfect for cooler evenings.